This rug is so bright and cheery. It is a little thin, but we wanted something we could clean easily. Our dog loves to sleep on it even though it’s not a high pile. 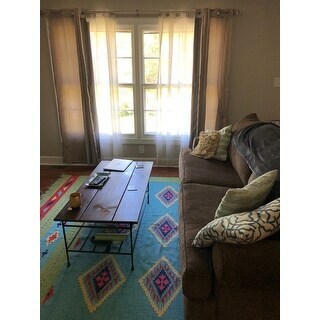 Cerimon Ikat Multicolor Area Rug - 7'10"x9'10"
Accentuate your home with the breezy brightness of this area rug. Hand-woven with cotton fibers for natural beauty and a soft texture, this rug features fringed ends and classic Moroccan-influenced design. 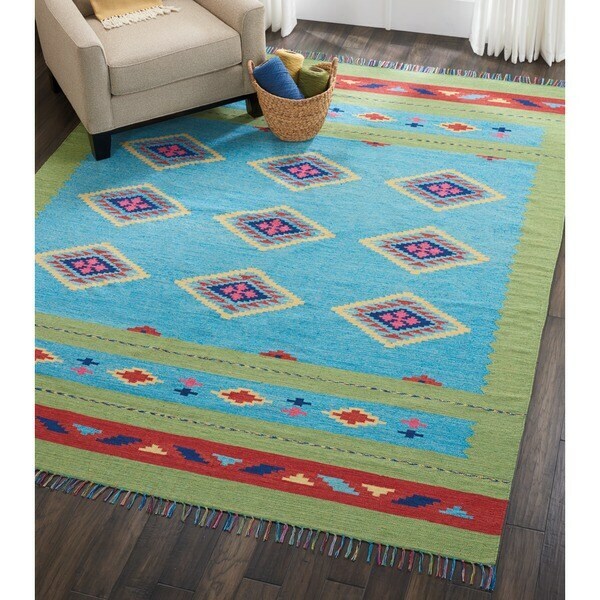 Nurzhan Navy Southwestern Area Rug - 7'9" x 11'2"